Did You Know That You Could Potentially Gain a Plenary or Partial Indulgence Today? How would you like to gain a plenary or partial indulgence today? If we more aware of these opportunities to gain more indulgences, we would mostly likely gain, as a side benefit, a more robust spiritual life and our actions would be more in alignment with God’s will. Did you know that many of the prayers that we pray almost by rote come with partial or plenary indulgences? How would it change your life to intentionally pray them to gain indulgences? The Church, in her wisdom, in order to encourage us to pray more or engage in certain spiritual practices, have attached indulgences to certain prayers and/or spiritual practices. Here are ten prayers and spiritual practices that have indulgences attached to them. It is very hard to stay still in our modern world. We are overstimulated with all sorts of images and sounds. 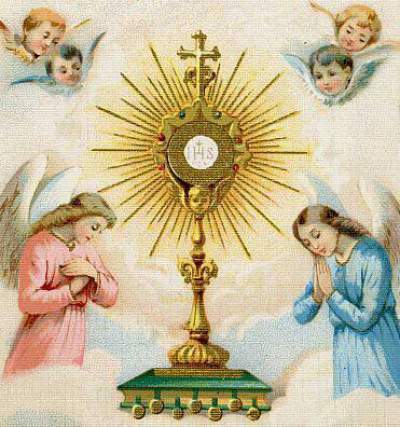 What a wonderful thing it is to adore our Lord in the Blessed Sacrament, silently. 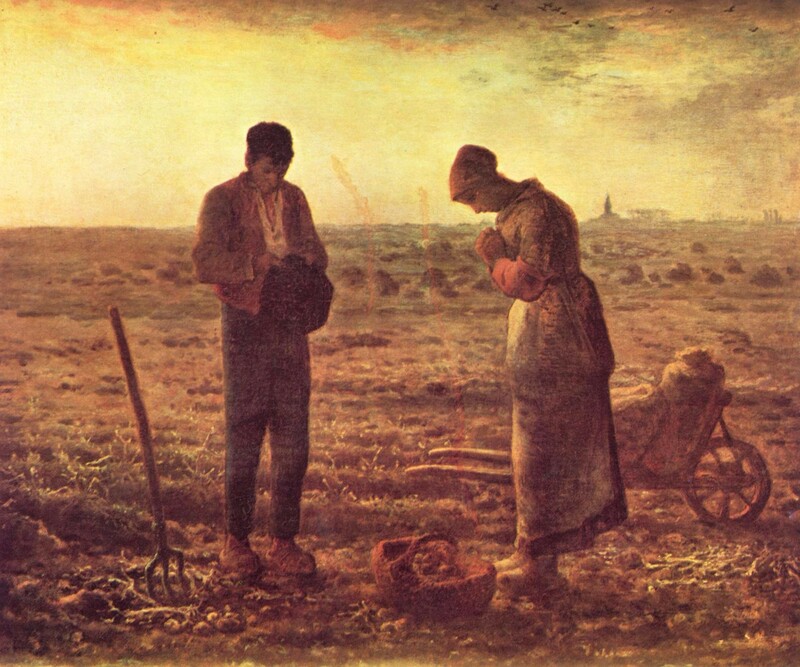 The Angelus is a prayer that is prayed at 6 AM, Noon, and 6 PM and helps us to recall the incarnation. We’ve all heard the churches ring the Angelus bells, but for some reason, it is not commonly prayed by many modern Catholics. In hora mortis meae voca me. Within Thy wounds, hide me. Separated from Thee let me never be. From the malignant enemy, defend me. At the hour of death, call me. Credo in Deum Patrem omnipotentem, Creatorem caeli et terrae. Et in Iesum Christum, Filium eius unicum, Dominum nostrum, qui conceptus est de Spiritu Sancto, natus ex Maria Virgine, passus sub Pontio Pilato, crucifixus, mortuus, et sepultus, descendit ad infernos, tertia die resurrexit a mortuis, ascendit ad caelos, sedet ad dexteram Dei Patris omnipotentis, inde venturus est iudicare vivos et mortuos. Credo in Spiritum Sanctum, sanctam Ecclesiam catholicam, sanctorum communionem, remissionem peccatorum, carnis resurrectionem, vitam aeternam. Amen. He ascended into Heaven, and sitteth at the right hand of God, the Father almighty; from thence He shall come to judge the living and the dead. I believe in the Holy Spirit, the holy Catholic Church, the communion of saints, the forgiveness of sins, the resurrection of the body and life everlasting. Ad te clamamus exsules filii Hevae. illos tuos misericordes oculos ad nos converte. V. Ora pro nobis, sancta Dei Genitrix. R. Ut digni efficamur promissionibus Christi. Oremus. Omnipotens sempiterne Deus, qui gloriosae Virginis Matris Mariae corpus et animam, ut dignum Filii tui habitaculum effici mereretur, Spiritu Sancto cooperante, praeparasti, da, ut cuius commemoratione laetamur; eius pia intercessione, ab instantibus malis et a morte perpetua liberemur. Per eundem Christum Dominum nostrum. Amen. Hail, holy Queen, Mother of mercy, our life, our sweetness and our hope. To thee do we cry, poor banished children of Eve. To thee to we send up our sighs, mourning and weeping in this valley of tears. Turn, then, most gracious advocate, thine eyes of mercy toward us, and after this, our exile, show unto us the blessed fruit of thy womb, Jesus. O clement, O loving, O sweet Virgin Mary. Let us pray. Almighty and everlasting God, Who by the working of the Holy Spirit didst prepare both body and soul of the glorious Virgin Mother, Mary, that she might deserve to be made a worthy dwelling for Thy Son, grant that we who rejoice in her memory, may, by her loving intercession, be delivered from present evils and from lasting death, through the same Christ our Lord. Amen. Memorae, O piissima Virgo Maria, non esse auditum a saeculo, quemquam ad tua currentem praesidia, tua implorantem auxilia, tua petentem suffragia, esse derelictum. Ego tali animatus confidentia, ad te, Virgo Virginum, Mater, curro, ad te venio, coram te gemens peccator assisto. Noli, Mater Verbi, verba mea despicere; sed audi propitia et exaudi. Amen. Remember, O most gracious Virgin Mary, that never was it known that anyone who fled to thy protection, implored thy help, or sought thy intercession was left unaided. Inspired with this confidence, I fly to thee, O Virgin of virgins, my Mother; to thee do I come; before thee I stand, sinful and sorrowful. O Mother of the Word Incarnate, despise not my petitions, but in thy mercy hear and answer me. Amen. 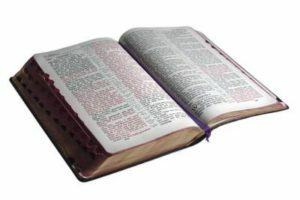 Some of us who are not used to reading scripture outside of Mass, might find it a chore to read scripture. However, you could gain a plenary indulgence by just reading scripture – which we should all be doing anyway. R. Quia quem meruisti portare, alleluia. Oremus. Deus, qui per resurrectionem Filii tui, Domini nostri Iesu Christi, mundum laetificare dignatus es: praesta, quaesumus; ut per eius Genetricem Virginem Mariam, perpetuae capiamus gaudia vitae. Per eundem Christum Dominum nostrum. Amen. V. Queen of Heaven, rejoice, alleluia. R. For He whom you did merit to bear, alleluia. V. Has risen, as he said, alleluia. R. Pray for us to God, alleluia. Let us pray. O God, who gave joy to the world through the resurrection of Thy Son, our Lord Jesus Christ, grant we beseech Thee, that through the intercession of the Virgin Mary, His Mother, we may obtain the joys of everlasting life. Through the same Christ our Lord. Amen. You can gain a plenary indulgence by reciting 5 decades of the Rosary. 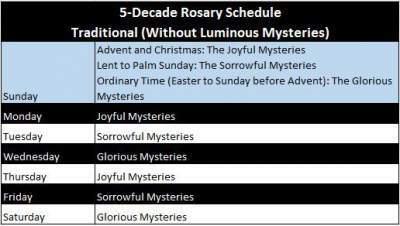 More on how to pray the rosary. 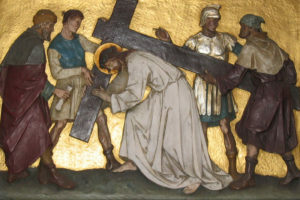 You can get an indulgence by praying the Stations of the Cross, also called the Way of the Cross. More on how to pray the Way of the Cross. So now that you know you can gain a plenary or partial indulgence through common prayers, go out and get some. Remember that there are general conditions for gaining an indulgence. Want to find a comprehensive list of indulgences? Check out The Enchiridion of Indulgences. Burying a St Joseph Statue in the Ground – Superstitious? Good day. Just copy and paste the following link into an email and send it to yourself. God bless!